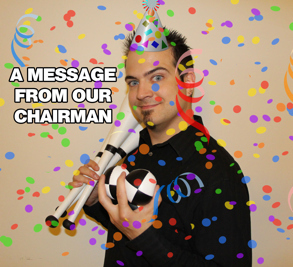 Another year is in the books, and what a year it has been! Our 2017 festival was one of our most successful events in recent years, with very high attendance and several new events that were very well received. You can relive (or witness for the first time) all the action with the newly released 2017 Festival DVD 2-Pack. It’s a two DVD set because a single disc could not contain the sheer epicness of the juggling contained therein. 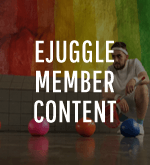 Starting in January, the same festival video will also be made available as streaming video on eJuggle as members-only content, released in installments (also because a single ezine post could not contain the sheer epicness of the juggling contained therein). Things are going very smoothly with 2018’s coming festival in Springfield, MA. 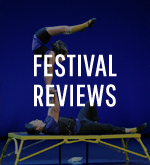 Festival Director Noel Yee has been hard at work setting up the operations and booking special guests (to be announced very soon). 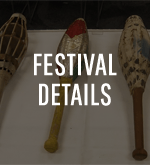 Our generous anonymous donors iiWii and Unna Med will also be continuing to fund festival-specific functions. iiWii will be continuing to fund the daily free meals at the festival, which has been a huge hit at the past two IJA festivals. 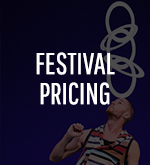 You may also recall some other festival enhancements this year, like the juggling trading cards, crazy vision glasses, and ping pong table. 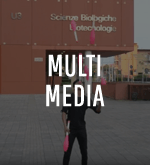 Those were all part of the Awesomeness Fund, which is sponsored by Unna Med, who has decided to continue to fund this function in 2018. We are currently in the preliminary process of assembling a highly qualified team of committee members who are all highly experienced and well versed in the art of awesomeness to help manage and select the allotments for this fund. Below are a few of the special guests confirmed for the 2018 IJA Festival. Many more will be announced in the next month or two. Do you have any juggling new years resolutions for 2018? 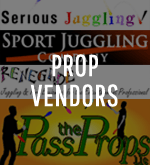 Or is there anything you feel that we can do to help better render assistance to jugglers? 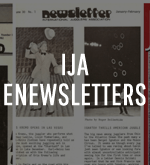 We have an IJA members survey (see article below) that we would greatly appreciate your feedback on. If you have any other questions or feedback, as always, feel free to drop us a line anytime. 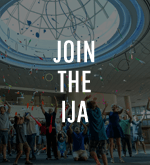 Please help the IJA find out what you want, or don’t want, from the organization by taking 5-10 minutes to fill out an important member survey. 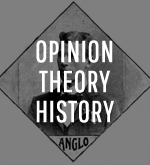 You’ll get to say what you like or don’t like about a number of IJA programs. (You may even discover a program in the survey that you like but didn’t know we had, or perhaps vice versa.) Please let us know your opinions. 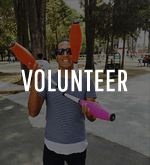 To take the survey, go to: https://ym.juggle.org/surveys/?id=member_services_survey. That will ask you to login to the IJA site if you’re not already logged in, and then it will take you to the survey. We greatly appreciate your taking the survey by January 16. Thanks. 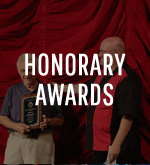 The DVDs for the 2017 IJA Festival in Cedar Rapids are now available for purchase from the IJA Store. 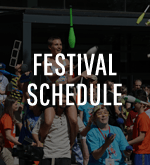 Containing about 4 hours of video from the fest on two DVDs, they’ll give you a sampling of pretty much everything that went on, even Water Skuggling (juggling while water skiing). 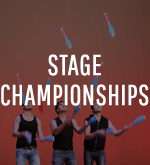 The full routines of all the Stage Championships competitors are included. 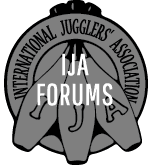 The full 4 hours of official 2017 IJA Festival videos will be released free to members in the eJuggle members-only section in installments that will start in January. 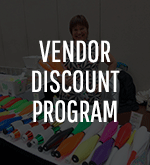 To get the IJA discount, look for GigMasters in the IJA Vendor Discount Program. Here are a couple fun campaign updates as we push towards the finish line. 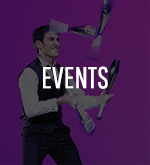 • Viktor will record a special video of his full routine from the jugglers’ perspective, for the first time. We will see what Viktor’s view is as he performs live! • As a special bonus, Viktor will go to the Kiev Circus School in Ukraine and record each of the students (who are all amazing!) doing their very best trick. This will be a special video released on the IJA’s social media. • Viktor has also thrown in a third video offer. 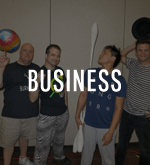 If we reach $20K, he will also make a video for the juggling community outlining his process for creating juggling routines. You can watch Viktor’s pledge video. 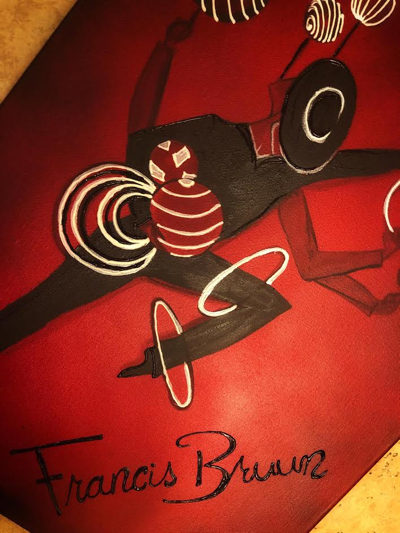 Gena Shvartsman Cristiani is raising money by making three special juggling paintings of juggling legends that she will be auctioning off on her social media channels. The idea is that these paintings will be of the juggling gods of the past, to help support the juggling heroes of the future! All proceeds will go to support the IRCs. Make sure to check out her Facebook page to see these gorgeous pieces of art and participate in the auction. 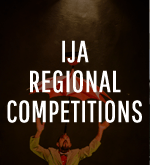 Donations to the IRCs will make it possible to bring the IJA Stage Championships model to juggling communities in nine different regions of the world, on top of the Stage Championships that happen at the IJA Festival. 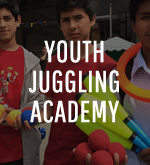 This program has exploded in popularity over the past few years, and it is exciting that the IJA is now working to support and inspire juggling on a truly international level. The generous support of our members helps to make this work possible! People can get a little crazy buying gifts during the holiday season. Sometimes they are desperate to find something, anything, that will amuse or intrigue the recipient. Sometimes they gleefully want to frustrate or create an impossible challenge for an infuriating colleague. And sometimes they secretly want to play with the thing themselves but are too “dignified” to buy the thing for themselves. In many cases, the thing is a learn-to-juggle kit. It is often a set of three balls that are a bit too light accompanied by instructions written with English words arranged in a nearly incomprehensible grammar completely unrelated to English as we know it. Accompanying diagrams may make perfect sense to a juggler but make no sense at all to a neophyte. That has “fail” written all over it. Seasonal parties are rife with tales of the hapless would be juggler who has probably had to fish balls out of the punch bowl, collided with vases of flowers, and knocked over candle sticks in a desperate attempt to be a good sport while attempting to master the seemingly impossible. 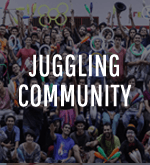 As jugglers, we actually do want more jugglers in the world. 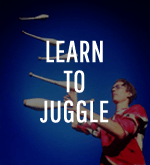 It isn’t in our interest to perpetuate the notion that basic juggling is insanely difficult. Take pity on these poor souls. 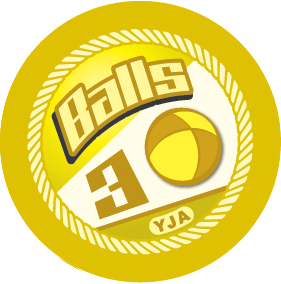 Take them aside and prove to them that their balls actually can be juggled with very little effort. Show them the “secret” of the three ball cascade by demonstrating with one ball, then two, and finally three. Remind them that just flashing three and stopping is enough to impress most people. And just like that, the joke is on the the person who bought the “gag” gift that they probably can’t master themselves. 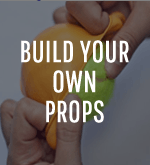 Don’t warn the new juggler that this is just the start of a lifelong addiction to buying new props, learning new patterns, and travelling to juggling festivals. Instead, point to all the studies out there that show that learning a new motor skill like juggling builds brain matter and keeps it active. 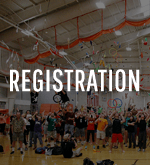 For that small percentage of people who learn to juggle and catch the fever, tell them that there are people just like them at the next juggling festival and encourage them to attend. 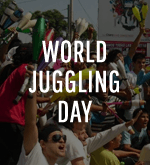 That goes for your juggling friends who have never attended an IJA festival as well. 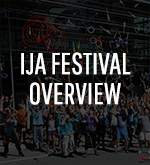 Lots of people who avidly attend regional festivals would never think of going to an IJA festival. 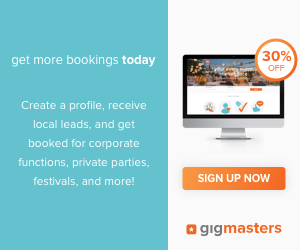 Encourage them to attend just one. Apparently a lot of people are convinced that there is no place for them at an IJA festival. 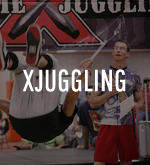 They are not juggling at a high enough level, or they won’t know anyone. Well, almost no-one is good at everything. 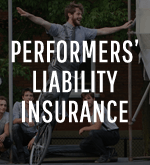 The guy you saw juggling clubs on stage one night, may be standing beside you in a beginner’s diabolo workshop the next day. 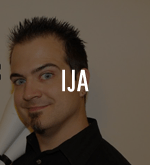 IJA workshops cover the whole range between beginner to expert. 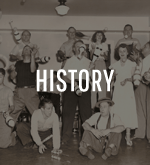 Yes, the gym is usually full of good jugglers, but they all started at the beginning and still remember the learning curve. 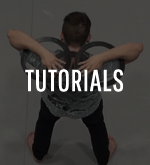 No-one laughs at someone trying to learn a new trick – we’ve all been there. Instead, total strangers will likely walk up and offer tips on how to get there faster. Sometimes impromptu one-on-one workshops spring up. In reality the gym is full of friends that you haven’t met yet at the start of the week. 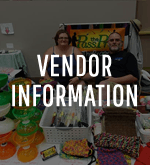 By the end of the week you will be making plans to attend next year’s event. It is the season for parties and eating without regard to dietary regimes. Jugglers get hungry and need a snack just like everyone else. Perhaps more than everyone else. 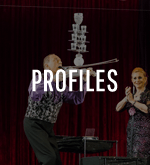 A few years ago I included a series of recipes for snacking jugglers in the newsletter. There wasn’t a huge response, but later at festivals some people surprised me by saying that they had tried a few of them. So for the holiday season here is a cookie recipe that I’ve been making lately that others seem to enjoy as much as I do. Preheat the oven to 350˚F and position two racks in the lower third. In a large bowl using an electric mixer beat the butter and brown sugar until they are fluffy. In a small bowl dissolve the baking soda in the warm water, then beat the baking soda and water into the butter and brown sugar mixture. Add the eggs, vanilla, and orange zest to the batter and beat at low speed until they are combined. Take a small amount of the flour and mix it with the dried cranberries so that they are not clumped together. Beat the flour and salt into the dough until it is barely combined, then mix the oats, cranberries, and chips into the cookie dough. For each cookie use an ice cream scoop or large spoon to scoop 3 tablespoons of the dough onto parchment lined baking sheets. Space them 2 inches apart. Bake the cookies for about 13 minutes until lightly browned and crisp around the edges but a little soft in the centres. Cool on a wire rack. Can be stored in an air tight container . They are best consumed within a week. Three tablespoons of dough makes a pretty large cookie! I use a one tablespoon scoop and make smaller but equally delicious cookies. The smaller version cooks slightly faster. A gluten free version of this cookie works well. Use any commercial gluten free flour mixture. Most mixtures already contain a binder such as xanthan gum. If yours does not, then add some (about 1/4 tsp.). Gluten free flour mixtures tend to be milled very fine. Be sure to stir and break up any clumps before adding to the batter. Sifting helps, but may clog the sifter instead; stirring with a spoon usually works well enough. Oats do not contain gluten, but they can be prepared in facilities that also prepare wheat products. Look for oats that have been specially processed to avoid contact with gluten (such as Rob’s Red Mill). If you are using large flake oats, process them in a blender for a few seconds until they are more like instant oats. The larger flakes tend to dry out as they bake. If you are not avoiding gluten then just use regular milled oats. 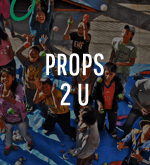 From time to time, people contact us about juggling-related items that they’re selling or perhaps giving away to a good home. It could be a sale, a swap, or just a come-and-get-it giveaway. The IJA has no opinion on the potential value or quality of these items or services. 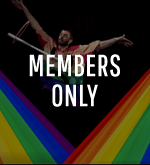 Items are listed here as a service to members. Caveat emptor. 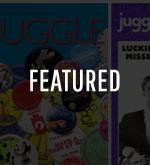 Earlier this year, Karl-Heinz Ziethen came out with a long-awaited hardcover book, titled Juggling — The Past and Future. 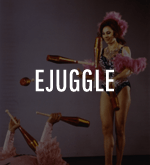 This 596-page book is an update on Ziethen’s 1981-82 two-volume set 4,000 Years of Juggling. Information about the new book is available from the publisher (Niels Duinker) at jugglinghistory.com, and the book can be ordered from lulu.com. 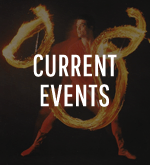 A brief review of Ziethen’s 1981-82 two-volume set (and other juggling books) can be found in David Cain’s eJuggle article Rare Juggling Books (part 2), and David has said that he will be working on a review of the 2017 book in the coming weeks. Stay tuned.